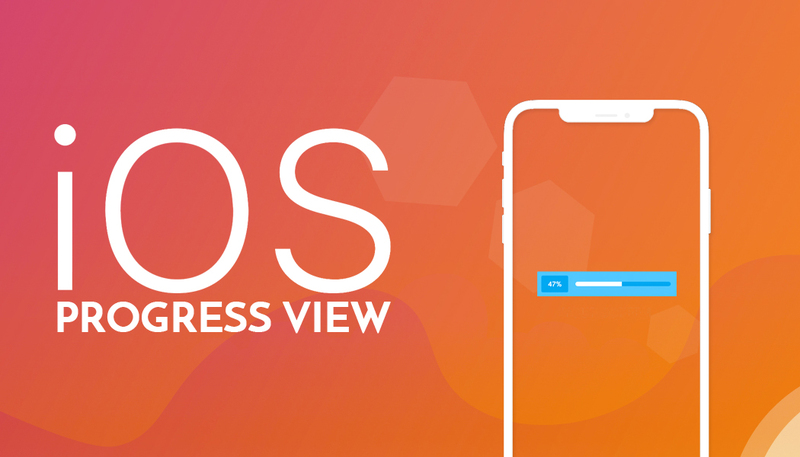 ProgressView is used to display the progress of any long running activity such as downloading/uploading/waiting for a response from web service to the user. This is a vital UI element which when absent could give the users an impression that the application is not responding. 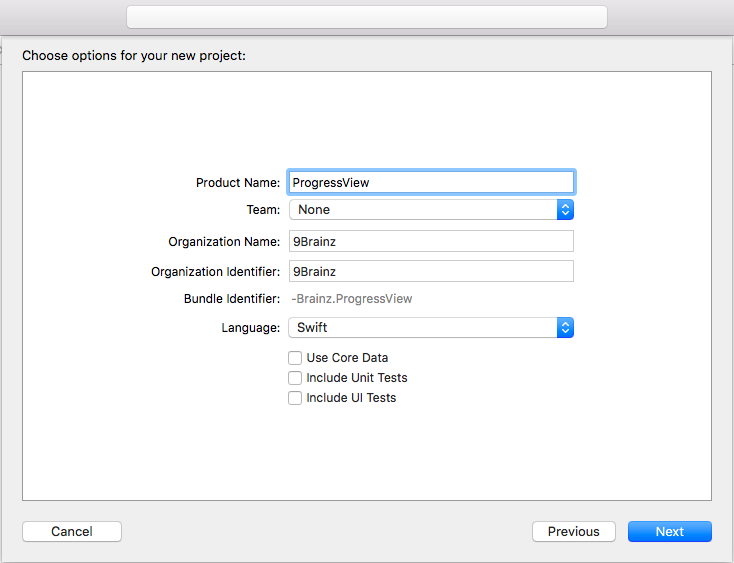 Now, Follow these steps to implement Progress View in Swift. 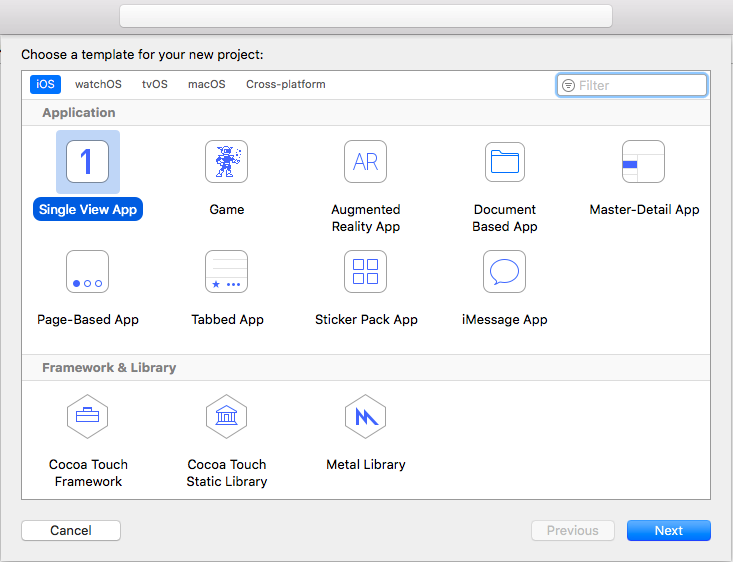 Step - 1 : Open the Xcode, Create a new project and select Single View Application template as below. 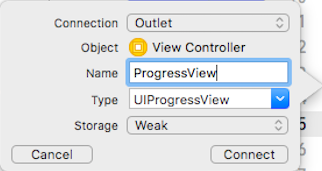 Step - 2 : After selecting, enter the product name as "ProgressView". Set your Organization name and Organization identifier Then press the next and create the new project. Step - 3 : Select Main.storyboard file and search Progress View and Button from Object Library and Drag and Drop in View. also set constraints of Progress View and Button. 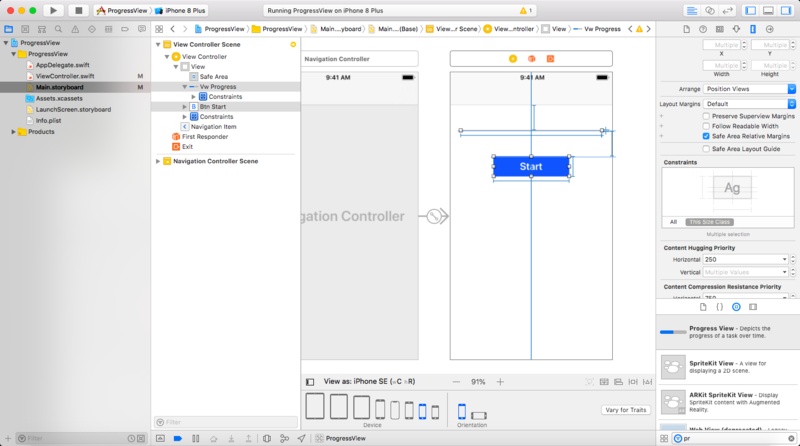 Step - 4 :Select Progress View and Add to IBOutlet connection in ViewController.swift file. 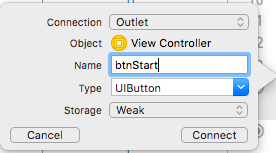 Step - 5 : Select Button and Add to IBOutlet connection in ViewController.swift file. After connecting with IBOutlet, there is created an instance of Progress View and Button. @IBOutlet weak var vwProgress: UIProgressView! 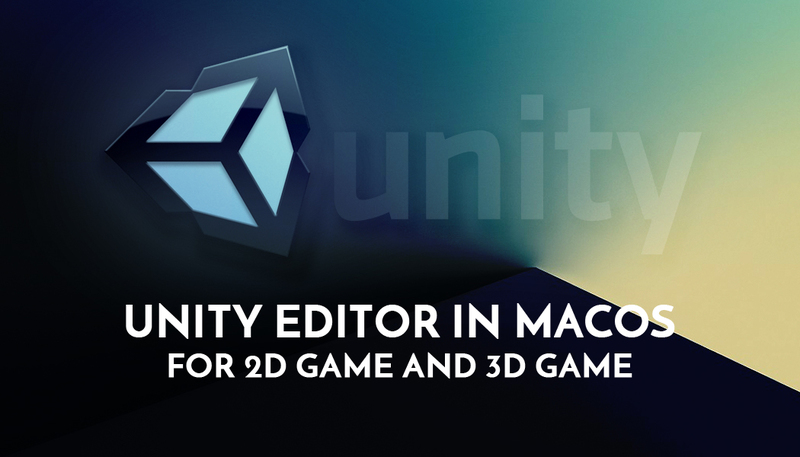 You can easily download demo code by clicking here. 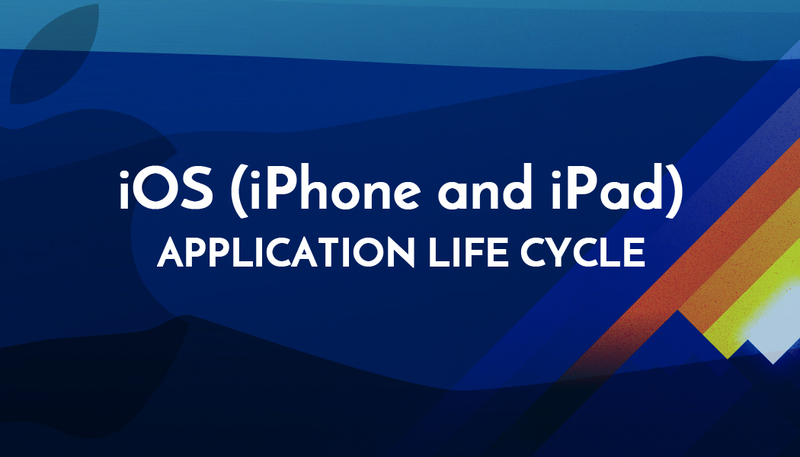 Contact us; If you have any query regarding iOS Application / Apple Watch Application / iMessage Extension / Today’s Extension OR you have your own application idea let us know. 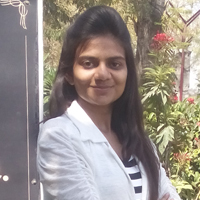 We have expert iOS team for your help.